RECOVERED: Lydia Ko has pressed on with plans to compete in the inaugural World Ladies Championship in China. Lydia Ko has pressed on with plans to compete in the inaugural World Ladies Championship in China after recovering from an illness which forced her to pull out of the Riversdale Cup in Melbourne last week. The world’s leading amateur leaves for China where the 14-year-old will compete at Mission Hills in Hainan from Friday. The demands of a busy summer schedule on both sides of the Tasman last week finally hit home when the North Harbour student was unable to start the second round of the Cup after experiencing dizziness and nausea. Her coach and caddie Guy Wilson today confirmed she had recuperated in Melbourne and would be fit to take part in the prestigious Ladies European Tour event. 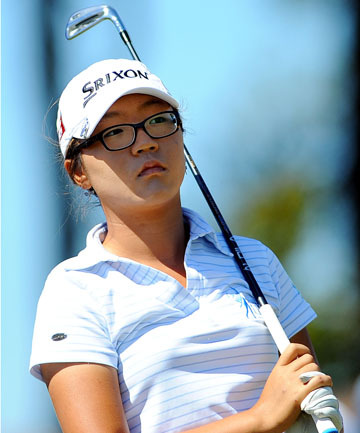 Ko has had a stellar year in Australia in 2012, winning the Australian amateur match play title before she became the youngest ever winner of a professional tournament when clinching the NSW Open last month. However, her programme started to take its toll at the New Zealand Open in Christchurch earlier this month, where she wilted to finish 17th.